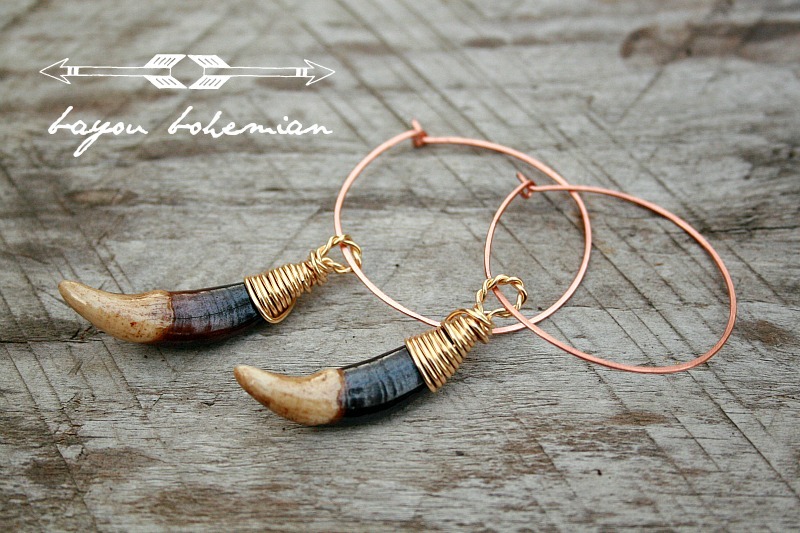 I find there to be something elegantly beautiful about these Tibetan Wolf teeth hoop earrings. The teeth are small and lightweight. 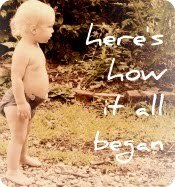 To me they celebrate life and the beauty of natures' creatures. We always hope that these creatures have lost their life naturally. If it happened to be by the farmer protecting his flock/herd/lively-hood, though it's sad I understand the challenge these predators are known to create in the name of their survival. At least we can put these to good use. Native Tribes have used teeth and bone to create tools and adornments in order to not waste any part of the animal. I believe that by using these organic pieces in my beautiful creations the primal nature of these wild animals could live on as a representation of the power of nature and the primal power within each one of us. These lovely copper hoop earrings hang about 3" from your ear to the tip. I am liking the beauty of the mixed metals of copper and brass, both should not tarnish. Of course the teeth are cleaned and sealed. I have said a prayer for the creature for which these came and I even shed a tear for him/her.